Julie, I know all about fighting with food devils and trying to find that palette satisfaction with ingredients other than wheat and sugar. 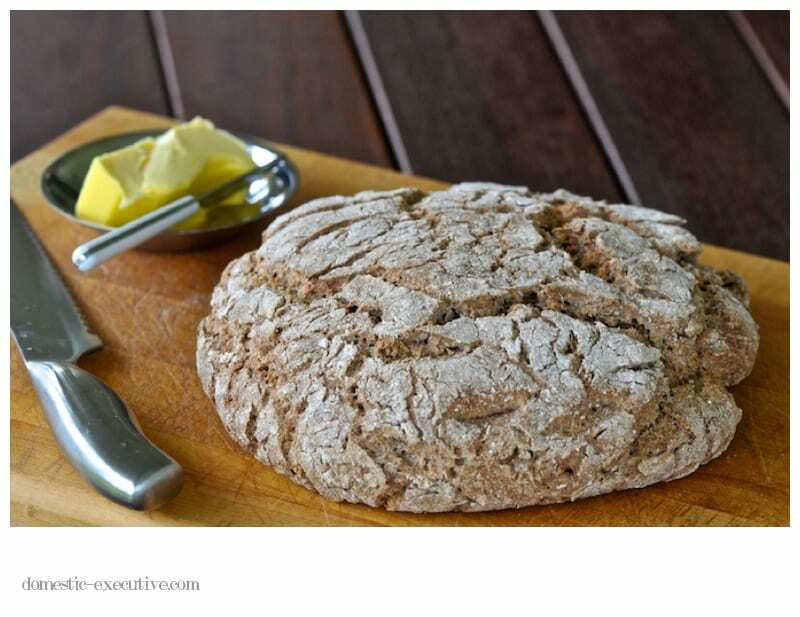 This bread looks lovely, is it sourdough? Hi Nicola, it’s not sourdough but made with yeast with apple cider vinegar. I adapted a Dan Leopard recipe from Short and Sweet. Easy to make and I think I might adapt further to add some seeds. That loaf of bread looks gorgeous Julie. 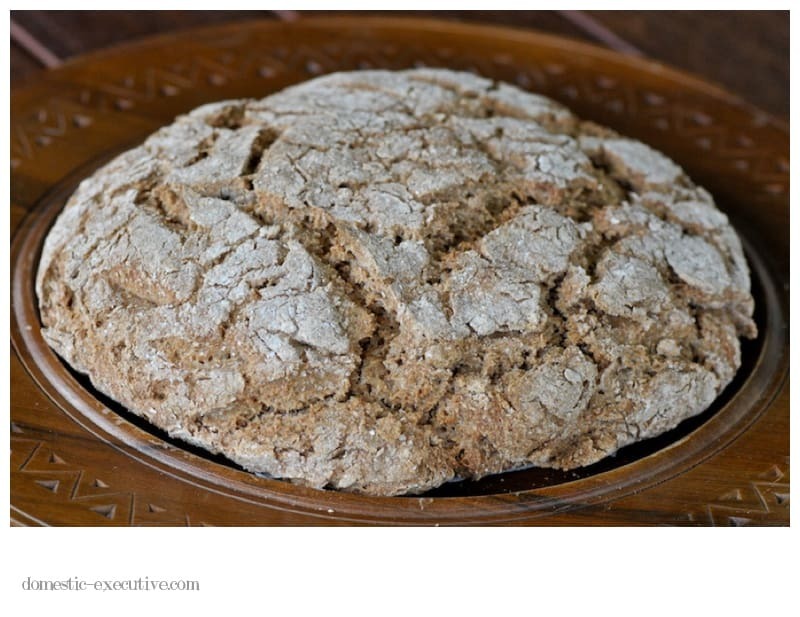 Is it a yeasted loaf, or a soda bread? I’m hankering for a piece with a slather of honey on top of that butter. You’ve inspired me to go and bake something. When I’ve baked it a few more times Mairi I shall share the recipe as it is delicious. Julie, that’s amazing looking bread. I’ve been cutting back on my wheat and sugar consumption too ever since I did my cleanse back in September – just because I feel a bit better without it. I’m still baking my normal bread, but only having a a couple of slices a week instead of a couple of slices a day. And I’ve found I’ve definitely had to get more organised about taking my lunch to work, since it’s just about impossible to buy anything as you say that isn’t full of wheat and sugar. 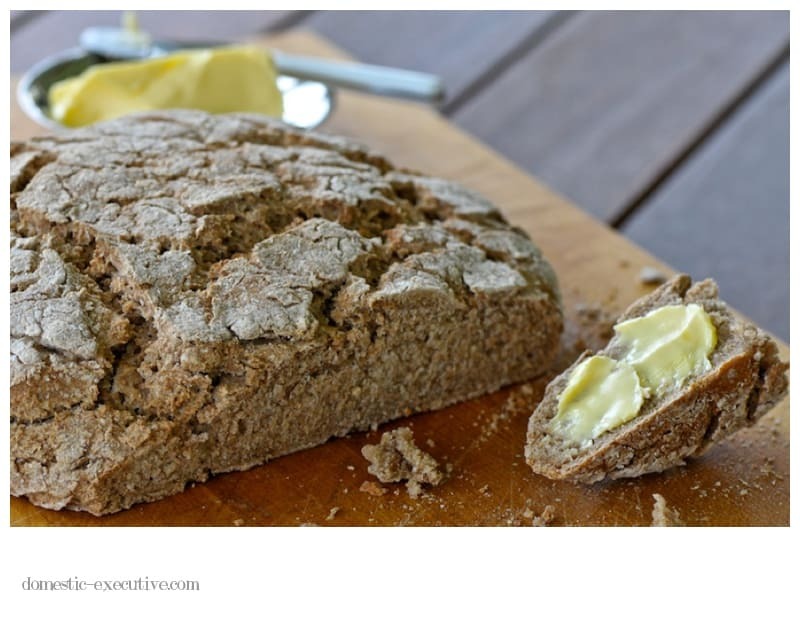 I’d love to try this bread when you share the recipe.